It's not entirely new, though. 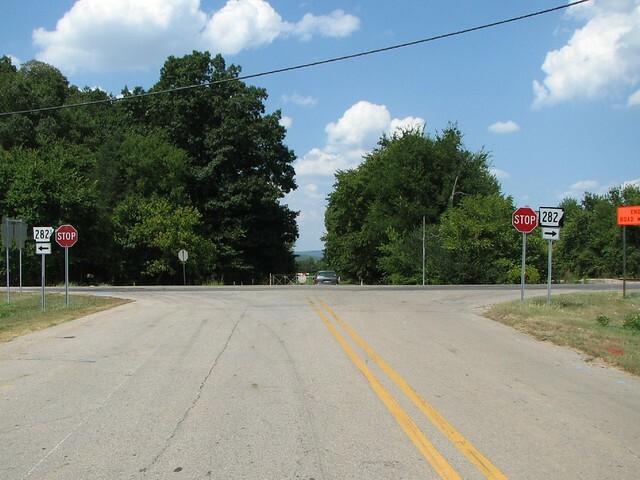 It was originally a county road (Dollard Rd) between AR 282 and BFE Crawford County. 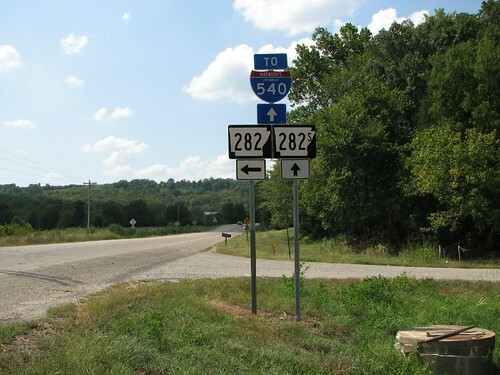 When AR 540 was built to Mountainburg (now I-540), it extended back to US 71 along a rerouted AR 282 (bypassing the Silver Bridge). Later it became part of AR 282 (which confused some people being on 282 then intersecting 282). So, in their infinite wisdom (? ), the half mile segment of 282 east of 540 is now 282S. Also of note is the "spur" once was East-West 282 and the other road North-South. This has changed to the "main" road now being posted East-West, even though it runs predominantly North-South. Arkansas--If you're told to "get lost! ", this is where you go!! !